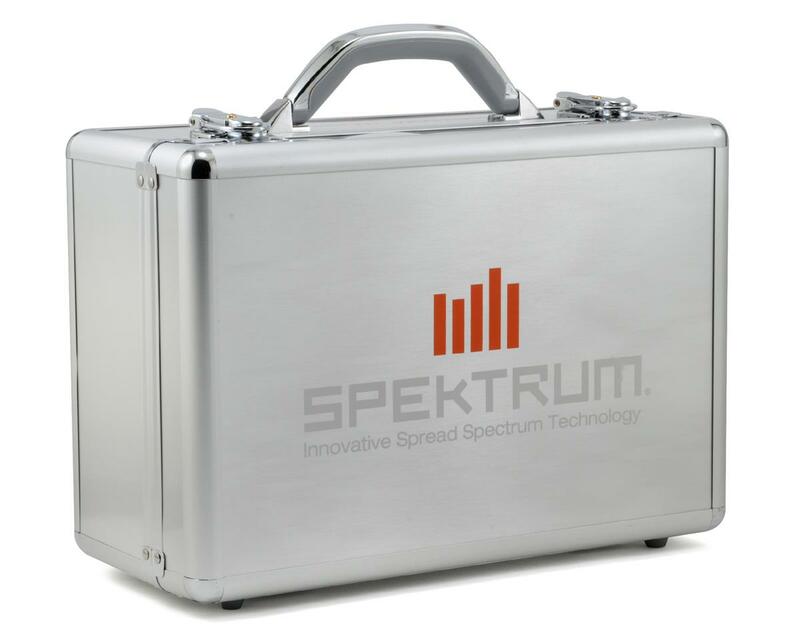 This is the Spektrum Aluminum Surface Transmitter Case. 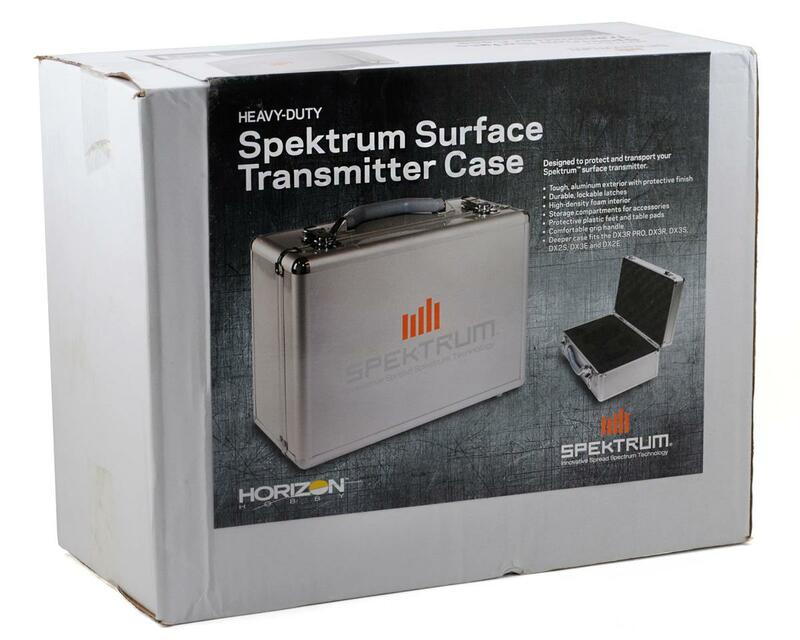 With a tough exterior, durable lockable latches, room for accessories and a deep high-density foam interior, this transmitter case is perfect for transporting and protecting any Spektrum surface transmitter. Been using this for more than a year with my DX3R PRO. Had to cut a bit off the top foam because I'm using the stock dropdown configuration. And the neck strap mount I'm using raised the radio a little bit and it touches the lid of the case. 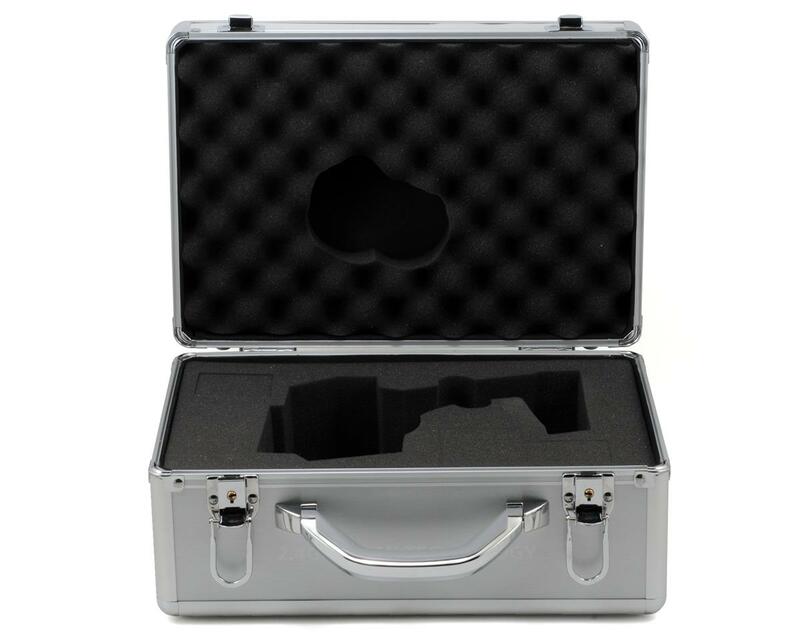 These are of no concern because the transmitter fits and the case closes perfectly. Top notch build quality (unlike the transmitter itself) and tough as a bunker.